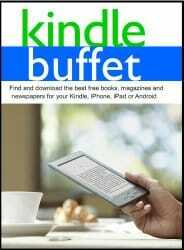 Today you can download the free Kindle eBook Kindle Buffet from Amazon.com. The full title of the book is “Kindle Buffet: Find and download the best free books, magazines and newspaper for your Kindle, iPhone, iPad or Android.” This free book tells you all you need to know about downloading free digital publications. Ebook reminder: This book was free at time of posting (September 12th, 2014) But, you should check the price before hitting the 1-Click button. You don’t need a Kindle device to read this book. You can download a free Kindle reading app to your PC, Mac, phone or tablet. You may also be able to read this book on your browser through the Kindle cloud service.